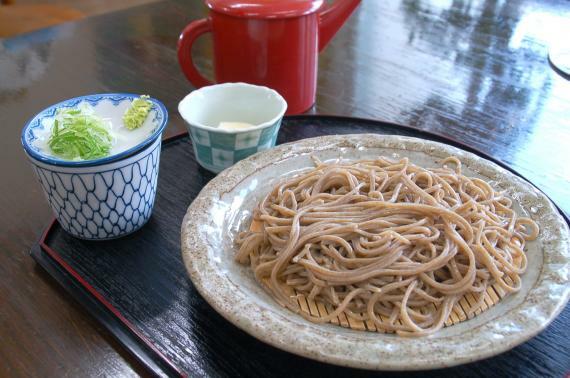 Make soba noodles with chemical-free buckwheat. 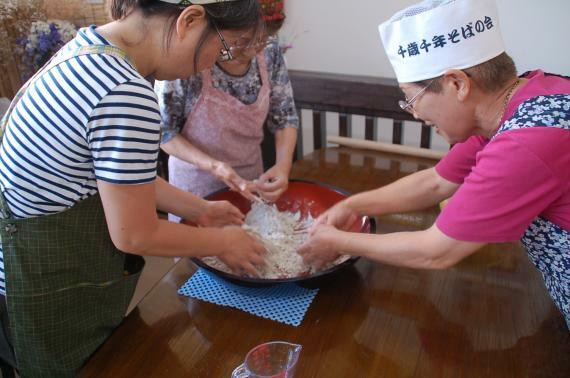 Flatten, slice and boil the noodles you made for lunch at a soba restaurant run by farmer. Recommended for groups of friends or family. 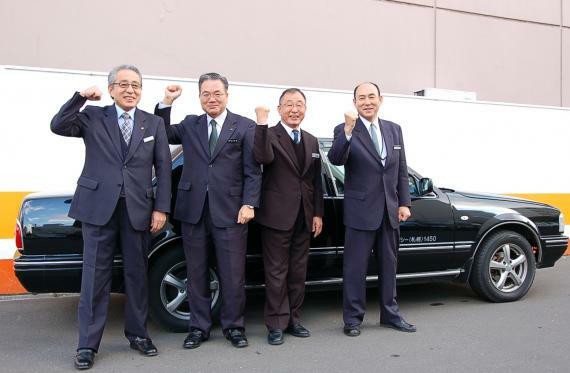 Door-to-Door transfer service is included from Sapporo. Making soba noodles is very simple. Soak buckwheat with water together, then knead, roll and cut. With only 3 steps, it’s fun and delicious. The mother of the farm with years of experience teaches you kindly how to make unforgettable Soba. Two kind of buckwheat are blended for a rich aroma and rich taste. The texture is especially enjoyable, and depending on your chef skills, some noodles may be thick, some may be very thin. It’s easy enough for people of all ages to try it. Let’s look forward to it! 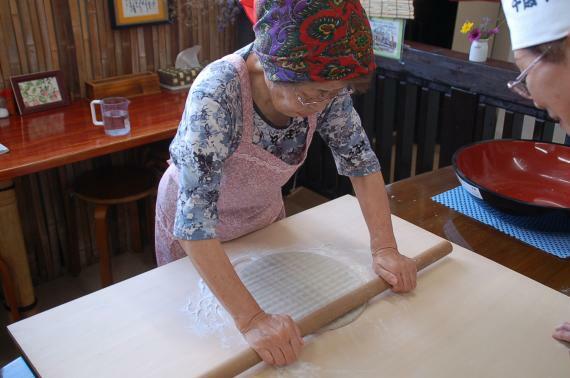 Even if it’s your first time, you can easily knead together a great meal of Soba! 2 kinds of buckwheat are blended so fragrant Soba coming right up ! Taste the Soba buckwheat noodles you just made! Pick-up and drop-off by a hired taxi driver from your hotel in Sapporo. 2:50pm　Arrive at "Chitose Fureai Farm"
5:00pm　Depart "Chitose Fureai Farm"
9:50am　Arrive at "Iwamoto Farm"
12:50pm　Arrive at "Iwamoto Farm"
* 2 or more taxis are required for 5 or more participants. Available from Central located Sapporo hotels, or JR Sapporo station. * Taxi driver does not speak English. * The guide/instructor will teach in easy/simple English. * An information sheet in English will be provided on the day. 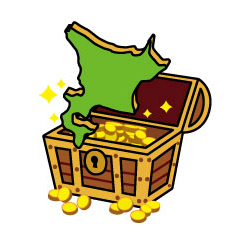 This program belongs to Hokkaido Treasure Island Travel inc. Please read our Terms & Conditions before you apply. * Please close other screens (tabs, windows) as much as possible and proceed your reservation. ok*The days in green mean that you can apply for this activity. *The days in gray mean that this activity is not available on that day. * Please click on a day in the calendar, enter your information and click submit. * Submission of this request form does not complete the reservation process. * Applications are on first-come, first-serve basis. Therefore, even if the application was submitted successfully, there is a possibility that the activity has already been fully booked. If the guide cannot accept your request on your desired date, the guide/instructor may offer you other dates as an alternative. * After applying, the guide/instructor will reply you about your request within a few days via email. * If you don't receive a reply from the guide/instructor within a few days after submitting the request form, please kindly contact the guide/instructor directly. * The deadline for submission of request is 2 days before the desired date to allow for processing time. Therefore please send request early. We offer various exciting private tours for sightseeing and experience-based tours. Please contact us. Private cooking class for groups of family or friends. Enjoy the soba (buckwheat noodles) lunch you made onsite. Vegetarians are welcome.